BOTOX® Cosmetic is the gold standard treatment to temporarily reduce or eliminate facial muscular lines and wrinkles, such as frown lines, crow's feet, and forehead creases. This simple, non-surgical treatment is administered by a highly trained Wilmington Plastic Surgery medical professional— a board-certified physician, a physician assistant or a licensed nurse. An FDA-approved treatment, BOTOX consists of a few tiny injections of a purified protein produced by the Clostridium Botulinum Bacterium, which reduces the activity of the muscles that can cause these lines to form over time. The vertical lines that appear between eyebrows, for example, are the result of muscle contractions. When you concentrate, squint or frown, the muscles between your brows contract, causing the skin to furrow and fold. After years of contractions, the wrinkles can linger even when the muscles are at rest. BOTOX works by blocking nerve impulses to the injected muscles, so the skin stays smooth and wrinkles cannot appear. Certainly not just for women, BOTOX is the most popular minimally invasive, physician-administered aesthetic procedure for men. Results of BOTOX injections can last up to four months.  WHY CHOOSE WILMINGTON PLASTIC SURGERY? BECAUSE WE'RE THE AESTHETICS EXPERTS! While many spas and other types of offices offer injectables, our patients express the added comfort of knowing Wilmington Plastic Surgery's aestheticians and nurses are highly skilled, trained and experienced in these treatments, and our entire Skin Care MedSpa is supervised by four board-certified, fellowship-trained plastic surgeons. Discover the Wilmington Plastic Surgery Skin Care Medspa difference. Contact us for a consultation today at 910-509 SKIN.